Long ago, a fly line was just a level line originally made from braided horse hair. At some point silk entered the picture. The weight in the line itself was only increased by the diameter of the line. These lines were just level in construction. Line tapers were being experimented with but it wasn't until the advent of nylon and pvc that line tapers really became popular. By tapering off the ends of the fly line, a better, softer presentation was found. It should be noted that in 1961 system for measure using grain weight was founded by AFTMA (American Fishing Tackle Manufacturers Association). Before this fly lines were measured by diameter. As fly rods moved into more powerful graphite forms weight forward lines became the norm. By moving the mass to the forward part of the line and tapering it off at the front and rear ends, creating a head in the line. Weight forward lines gave us the advantage of better rod loading, improve presentation and increase line shooting ability. Most lines we fish with today are of weight forward design. While the weight forward fly line is a modern marvel, it does however create much confusion and complication. Choosing a taper that works for your situation can be a difficult decision unless one understands how these tapers work for us. This my attempt to break down some basic tapers and how they affect our casting and fishing. I'll reference Scientific Anglers line taper photos as examples. Modern level lines can be found today in the form of euro nymph lines and shooting/running lines such as used in switch/spey/two hand fishing systems. Outside of these uses there really is no reason to seek out a level line. Double tapers can be found in trout line sizes from Scientific Anglers, RIO and Airflo. While not completely versatile, they do perform certain task quite effectively. Most notably is they roll cast extremely well. This is accomplished by the thick body which in turns carries itself well through the roll. In addition they present dry flies very well in short to medium distances again due to the stability of the thick body. They also have an added advantage of a double life. When one end wears out the line can be reversed and the angler benefits from a fresh start. Enter the weight forward class of line tapers. Trout tapers, such as this S/A Amplitude Smooth are generally long headed and gradual in tapering especially the rear taper. They are constructed this way to provide great presentations and stable flights. Light, long heads give us great ability to aerialize line which enables accuracy. Do to the long head they roll cast well. If there is a downside to trout tapers it is that they don't carry bigger flies very well and they don't always load modern fast action rods very well in short cast situations. Trout taper lines are at their best with modern trout action rods and in general tend to favor dry fly fishing. Nymph tapers have several different names across the industry such as S/A's Anadro, RIO's InTouch Salmo/Steelhead or just plain nymph/indicator. Nymph tapers are designed to carry a trunk load of stuff. Think weighted flies, multi-fly rigs, split shot and/or indicators. In order to accomplish this nymph tapers are generally over weighted by one or two line sizes. Notice the quick front tapering and straight into the mass of the fly line. This mass is what carries the payload. Also in addition to carrying mass, nymph tapers are often tasked to efficiently mend line on the water. These needs require that nymph tapers have long rear tapering in order to supply enough body to move when a mend is requested by the angler. They are extremely versatile for drift boat style fishing. This taper can be versatile and effective in a wide range of demands. It was my personal choice of line for migratory brown trout fishing in Chile. Oh, and I never even considered using indicators or split shot. Unfortunately, I feel like I have to add that statement because often times this taper gets pigeon holed as a dirty nymphers line. This taper, while general in idea, it would seem that every manufacturer has their own idea of what is the best approach for a general presentation line. The general ideal of this style of line is to have presentation qualities of a trout line while providing load, power and shoot-ability for modern fast action rods creating an all around line for majority of fishing situations. I apologize now if I miss-categorize any of these as being a part of this group. Lines of this taper are commonly known as S/A MPX, RIO Grand and maybe even the RIO Gold, and Airflo's Super-Dri Xceed. Their are probably many more lines that could loosely fit this category. These tapers are generally front weighted to load easy and shoot well while rear taper is somewhat gradual for flight stability and gentle presentation. They tend to "do all well" but nothing extraordinary. One most recent newcomer to this crowd is S/A Amplitude Smooth Infinity taper. It is quickly proving itself for being an incredibly, enjoyable casting line with all the qualities needed to be a great all around fishing line. For average angling, especially trout angling, general presentation lines are all one usually needs. They can handle dry flies and small streamers. They can perform basic trout nymphing with a good ability for mending. General presentation tapers can fit the needs of most anglers, most of the time provided our demands, such as fly size stay within reason. These Tapers can be your best or worst friend depending on how you intend to use them. The design is intended to shoot line and fly to your target while loading fast action rods deeply. Although there are plenty of variations, in general the heads of shooting taper lines are usually 30 foot with some leaning toward 40 foot. Most error on the side of 30 foot. As you can see from the diagram the head is massively weighted but virtually little to no tapers on front or rear. These shooting head tapers are generally over-weighted pretty large with 2 line sizes and in many cases 3 line sizes heavier over AFFTA line standards. The running line part beyond the head is usually quite thin in diameter allowing less friction for distance shooting. What this taper does extremely well is load fast action rods very quickly and can propel large flies effectively. Anglers that are proficient with them can usually load a rod in one or two false cast and send the payload on it's way. These tapers are very effective while fishing streamers from boats, long distance shoreline casting and flats fishing where one shot cast are often times required. Actually if I understand correctly RIO Outbound was born on the premise of shooting head shoreline casting. What these tapers fail at is fish-ability. As long as the angler only requires to cast and strip flies straight back to them then all is fine, but request a mend or roll cast with the thin shooting line outside of rod guides and forget it. The thin shooting line part does not have enough body to be able to move the massive head. The angler will need to strip back to the point that the back side of the head is at or inside the rod guides in order to pickup line, roll line or make a mend. That's going to be about 30 feet depending on length of head. These tapers have their place in fly fishing, just not every place! I added this category with purpose. 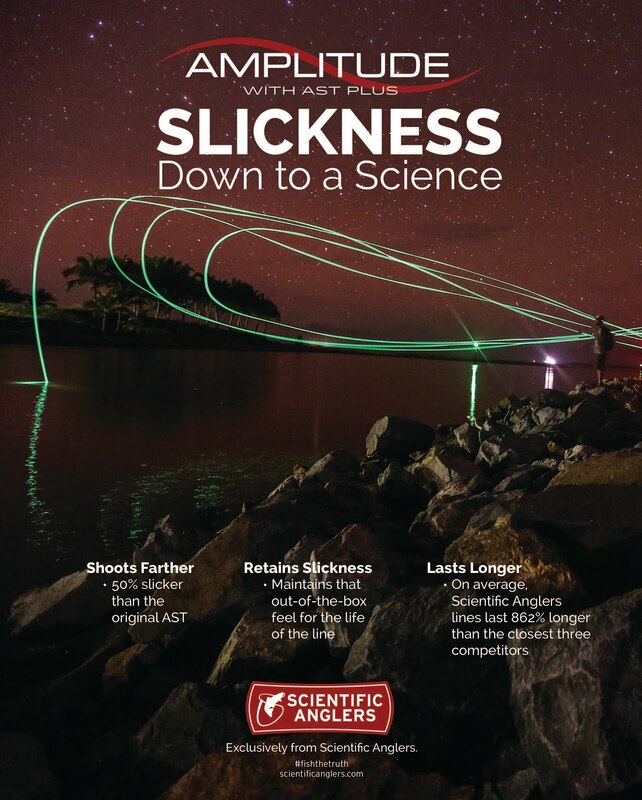 Just as I mention that shooting head lines have a bit of trouble in the fish-ability department, there is in fact a trend to help with this issue. In the taper above, Scientific Anglers Amplitude Smooth Titan Long is an added benefit of extending the rear taper several more feet. We benefit from this in a couple ways including that we don't have to strip as far in to re-cast and we get a little extra length to pick up or mend with. Another benefit the "long" feature helps with is they tend to be a bit less clunky to cast. I've personally been testing these lines in warm water boat fishing situations with large streamers and they have proven to be quite beneficial over traditional shooting head tapers. This design can be found the S/A Amplitude Tropical Titan, Amplitude Smooth Titan Long, Sonar Titan Sink Tip, Mastery Titan Long and Mastery Bass Bug. Over time I have developed my own quick evaluation of fly lines. It goes something like this. How long is the head? Start at front of line and run it through your fingers as you stretch out an arms length of line. Continue doing this while feeling the diameter change as you go. Count how many arm lengths it takes to reach the back side of the head. Most lines today will change color at this transition. Not only will you determine the head length but also feel how the line tapers. A little practice and you will be able to recognize how tapers differ. Is it over weighted? Most line descriptions will tell you if a line is over-weighted. Fact is most modern lines are over-weighted to some extent. Whether that is good or bad has become a touchy subject that I'll take on is another article. Long front taper? Long front tapers are for presentation such as dry flies. Long rear taper? Long rear tapers provide flight stability, roll and mending. Mass toward the front? Carries payload. I could continue on with more taper diagrams and but I don't feel that is really necessary. In general these tapers described here are found in most fly lines within some form or variation. The important thing to note from this is to hopefully gain the ability to recognize different tapers and how to apply them to your specific fishing regime. While it is true, some rods respond better or worst to specific tapers and it helps the angler to match lines to rods provided the matching line can still perform the necessary functions that will be required for the destination intended. From personal experience I can tell you on many occasions I showed up to fish with a line that didn't fit the needs and that can create a frustrating day on the water. I think we often look for lines and line tapers that we can cast well but I often see anglers choosing lines for casting instead of fishing. The line taper itself could play a bigger part in actual fishing and your outcome. 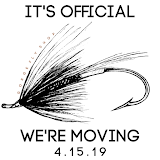 In other words the line that makes you a parking lot champion may not be the line that leads to a memorable fishing experience. In the next article we'll cover matching lines to rods and how that can make or break your experience.